snapdragon’s AchillesBlog » Five weeks days post op - Fed up with casts. I want a removable boot. Five weeks days post op - Fed up with casts. I want a removable boot. Totally fed up with casts. An early one squeezed too narrow - caused me a lot of pain. Now I know what Morton’s neuroma feels like. Latest uncomfortable, wrong angle and I cannot bear much weight as it still has to be in front of me. I know from this website and others that there are better choices out there. I contacted german manufacturer for UK distributor. I contacted their UK sales representative to confirm item I needed. Following his advice I ordered the “new” version VacoPed Achilles boot from Orthofix. http://www.orthofix.com/ The item is not on their website! 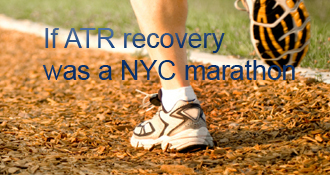 snapdragon has completed the grueling 26.2 ATR miles to full recovery! Don’t know if you even go on here, but see that you are only just down the road from me. I am 3 weeks in and would love to have a little email/ chat at some point. Hope the recovery is okay now? 31 weeks post re-rupture. Missed physio / gym for last 6 weeks. Holidays and the like… and work pressures. I reckon it is really going to take a year for me to get to there at this rate. Maybe slower than others. Seems depressingly slow progress at times. You just have to keep going. Calf still really slim but can 20 mile bike ride (avoiding hills) and taken up canoeing in an inflatable canoe. Cannot stand on toes on affected side. Can jog a little but plantar fasciitis, stffness around back of ankle and pain from MTP jpoint big toe have been a nuisance for me. I guess we all go at our own pace and I still see progress every week. We are not all super heroes! Oh boy! That is frustrating. Don’t panic. The marathon just got a little longer. More muscle wasting, longer rehab. That’s all! I did not set up my own blog on this excellent site when I blew out my Achilles on May 8 playing soccer at age 54. Just tonight, after one beer too many at week 9 post surgery, three days out of my boot, I missed a step on my friend’s deck and felt sharp pain. My guess is I did not re-rupture fully, but I’m going to be popping some Vicodin for only the second time after surgery week. One big mistake I made was not getting clear advice about activity level from a PT (not doc) much earlier. Second mistake was that fourth beer. snapdragon, I felt I had to post to you since our injuries have similar paths. I believe it is me Norm refered to about not knowing which way to go on the secound rupture. I retore mine at 13 or 14 wk’s, 2 days after the OS said I was well on my way to recovery. When it popped the second time I went and got the US, saw the 2 cm gap, and back to the doc. He wasn’t big on cutting thru the same area 3 mo since old surgery because of infection, scar tissue etc. so we agreed on non op route. I didn’t have the VACO cast then, just a fixed boot. Doc said 8 wks in that see how it would go. As we all know from this site the more informed you are the better you can manage you own health, or health care even. I took the matter into my own hands, I got the V cast, 4 1\2 inch lifts and followed the UWO plan. I was lucky to some extent because I didn’t go NWB ever, just PWB. I did the boot, lifts and gradual progression neuteral and wt bearing. about 8 wks to 2 shoes. So sorry to hear about your re-rupture. We’re all here for you! All the best with one more undeserved challenge! Keep one eye on the UWO protocol, which I think is a good guide to a good non-op cure. One version’s at bit.ly/UWOProtocol , the other (essentially identical, I think) is linked from the fulltext of the study that D posted here (at achillesblog.com/files/2008/03/jbjsi01401v1.pdf ). The best cure for a primary ATR is controversial enough, but we’ll probably never get solid evidence on the best cure for a re-rupture. One of our pals here is doing well (last he posted) with a re-rupture, using the UWO protocol. I think you’ve been going slower than UWO (like 4 wks NWB rather than 2), and my reading of the literature is that doing so is probably negative, at least for re-rupture risk — as well as being a bigger bloody nuisance. Good luck. You deserve some! so sorry to hear that. I remember thinking at about 13 or 14 weeks that that was the real danger time - becuase you suddenly feel invincible. But good on you being so mentally together - I sure would not be. Take it easy on yourself huh! I’ve been gardening and feel like I’m on a rocky boat sometimes on uneven ground. It is really hard to remain steady with a weak ankle. I’m at 14 weeks and you have made me think twice about some of those chances I’ve been taking. I remember a post from someone that said they would shoot their self if they reruptured…I can’t imagine going through all of that again. My heart goes out to you. Keep us posted! God that is so awful. I ruptured about the same time as your original one. You sound like your doing well both with the physical recovery and the mental battle. Keep up the good work and I hope that your recovery is speedy. Aw man, sorry to hear that you’ve re-ruptured. I would imagine it’s probably the thing most of us fear once we’re back in 2 shoes (or maybe that’s just me!) and it’s a timely reminder to me personally as I’m coming up to 12 weeks post ATR and keep thinking it’s the ‘magical’ number for the chances of re-rupture to drop - it’s not. I’m really not sure if having the op brings the benefits that the increased risks warrant but we may never know. Hope you are well on the way to full fitness. Sorry to hear of your troubles. I am a fellow chicken farmer with a small laying flock. I am still ‘letting’ my helpers do the cows and chickens and will think of you when I want to get with it too soon. I too wondered abt the angle on the boot, but left mine at 30 degrees . . . hope it works out OK.
Do I understand you are now ~7 weeks post re-rupture? £150 inc P&P. Next day! The boot can be ordered direct from Breg/Orthofix Maidenhead office. 01628 594 500. However I strongly suggest you speak or email a sales representative to discuss your needs before you order. Does your orthopaedic surgeon have a view or are you treating yourself? …almost seems possible but not recommended. Aileen: I used the vaco cast in the US. About $140 wholesale. The doc’s here marki it up to $300 because insurance will cover it. I paid wholesale since I found it and bought it. Hope that helps. Well worth the cost. Yipee, I just found your blog. I have been looking for a vacocast or vacoped in the UK for ages, searching the net for hours! Would you mind if I ask how much it cost and how long it took to arrive? I got my Vacoped after three weeks, that was three weeks ago and I love it as well. You are right it is great to be able to take the leg out, have a bath and give it a good rub. Great pitch for what seems to be a great boot, snapdragon! Yah, boots beat casts to pulp, in so many ways, and probably end up costing LESS! Yet many docs and many hospitals and some whole COUNTRIES still insist on casts. It’s probably just a matter of time ’til casts go the way of the 8-track cassette, and for the same reasons. Pace yourself, so you’ll get to see that day! @snapdragon: Ouch! A real bummer, huh? You are not the first person I’ve heard from that was warmed up and well stretched… I guess it’s just one of those things that is more likely to happen to us the older we get…. How old are you? @normofthenorth: Twice on both sides?! or Once on each side? In either case, my sympathies!! Sheesh! Welcome to a great site and a great group, Snapdragon, though we’re all sorry you had to join us! Most Docs (and even national associations!) in this field need updating, IMHO. (Don’t get me started, but a lot of it is on my blog pages!) E.g., there’s NO justification for any immobilization of the KNEE joint, period!! Bloody nuisance for zero benefit, what are they thinking? BTW, you are one of many badminton ATRs here (esp. from UK), and also one of many who “did” the AT after fully warming up (and obviously after fully stretching, too). Replace badminton with volleyball, and I’ve done exactly the same — twice (both sides)! Good luck and good healing, and please keep blogging. snapdragon’s AchillesBlog is proudly powered by WordPress and WPDesigner..